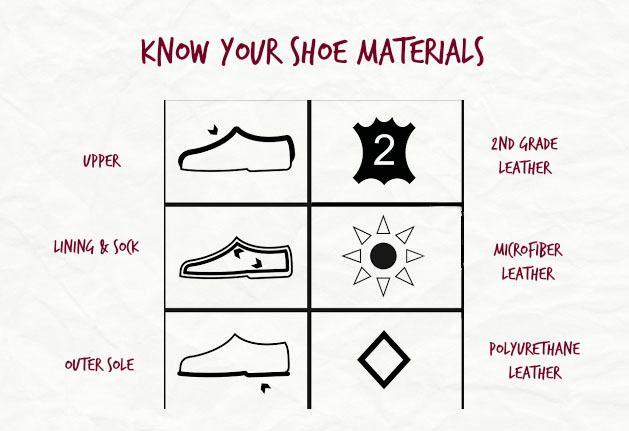 Hello everyone, As we briefly talked about in the previous post, we’ll talk about the shoe material guide today. Most shoe brands would include this chart, which tells you what your shoes are made out of. Don’t understand what these symbols mean? Let’s start with sections of the shoes. This symbol represents the upper part, which is also the most visible part of the shoe. This symbol represents the lining and inner sole, the material used for the interior of the shoe. Now that we’re done with the sections, let’s talk about materials. This symbol tells you that this shoe is made of leather, from the skin and hide of an animal. There are various kinds of leather, such as suede and nubuck. For a shoe to be considered made from genuine leather, 80% of the shoe has to be made from leather. Microfiber Leather possesses all the good qualities of real leather. It is lightweight, waterproof, breathable, scratch-resistant and also eco-friendly. For vegans and eco-friendly consumers, this symbol is what you should keep a lookout for. This symbol tells you other materials were used to make this pair of shoes. This includes man-made materials such as PU leather, rubber compounds. Polyurethane (PU) Leather is commonly referred to as artificial leather. It is split leather that was covered with a PU coating. PU leather is cheaper with a nice finish; however it is not as durable or as strong as full-grain leather. In order to make right choices, you got to understand the label for materials. 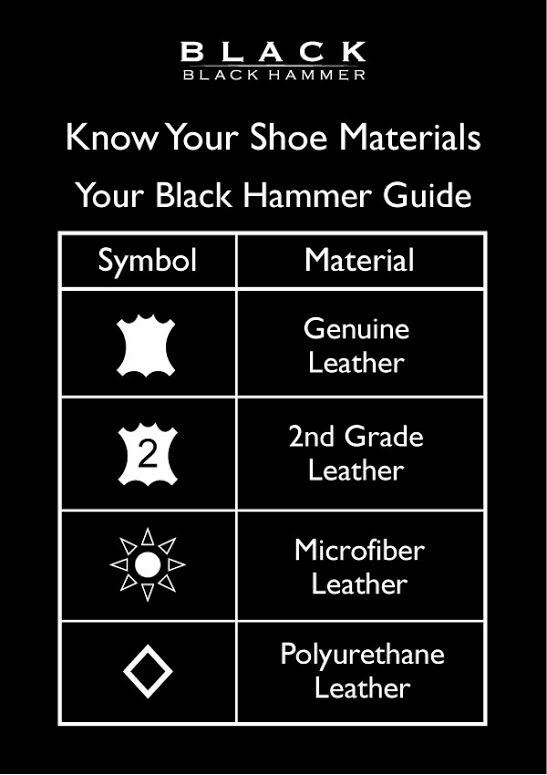 I hope this guide has helped you to understand the shoe material guide that you may see on your shoe boxes so we can all make the best shoe choices!